Books and curriculum on discipleship are vast. In fact, for years many discipleship advocates have started new programs with the goal of training young men and women to live like Christ. The need for such programs has become more evident in the past seven to eight years, as moral issues have become a target of a searching society. Although programs and curriculums are good resources, there is still a real need for simple and practical one on one discipleship. Abante International is a discipleship organization. Walking with Christ as the disciples did; living, learning and leading in a global community is at its very core. During the nine-month journey, the colleagues spend a good portion of that time in Europe, and three of those months are spent at the European Theological Seminary in Kniebis, Germany. 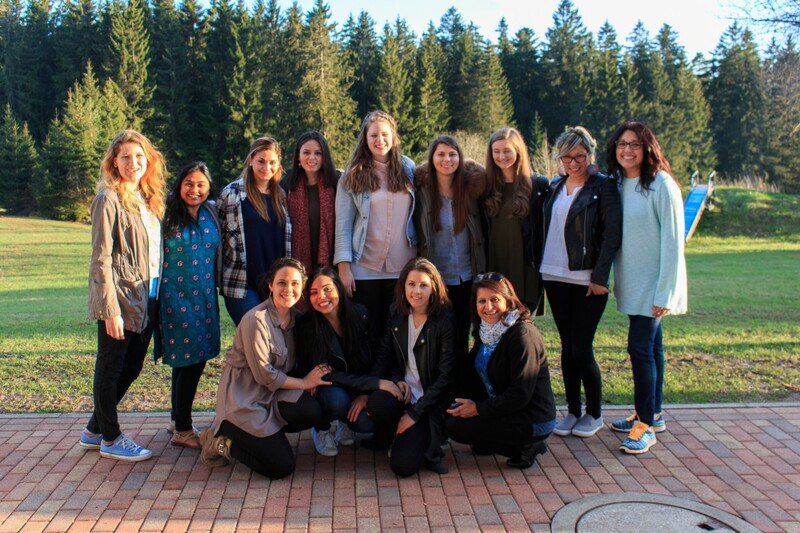 At this international community, students learn about theology, and other subjects, they live in community, and engage in several internships, ministering and serving local churches, and Christian organizations around Germany. The beauty of this partnership between Abante and ETS, is the connections, and organic moments for discipleship that happen almost every day. An example of such is a ladies’ night that was planned almost organically, sensing a need for fellowship in a private and safe environment for the ladies to feel free to share their burdens with each other and learn more about their identity in Christ. This meeting took place on Wednesday, March 6, at the home of one of ETS’ married couples. The theme for the evening was “Defining an Excellent Woman”, and Beba Schlottmann led the meeting. Beba spoke about how unrealistic it is to meet the expectations of the Proverbs 31 woman, unless one knows who they are in Christ. When a woman accepts that she is loved regardless of her weaknesses, she will then be able to understand that her most precious possession is her identity in Christ. She pressed the idea that each lady present should simply strive to be who they are meant to be; worthy, important, valuable, wanted, capable, lovable, reachable, chosen, gifted, anointed, set apart, and able. The meeting was special in that it created a positive atmosphere of empowerment for the ladies, as they took time to affirm, encourage, and pray one for another, while reflecting on each personal value as a child of God. The kingdom of God is made up of broken people who get the simple fact that Jesus loves them.